This 30ft NOTCHED pre-1925 film was taken from an even earlier film about the subject from 1912. EYEWITNESS REPTILE. 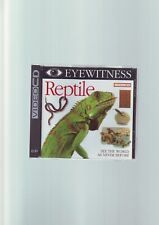 A Video CD all about reptiles. You will need a VCD or CD-i player to watch this film. It will also work on a computer with the right software. The disc, case, rear case cover and front case cover/booklet are all in very good condition. Super 8mm sound 1X200 THE MUSIC MEN. Laurel and Hardy classic. Laurel and Hardy classic. Very good condition. Hi This is a music DVD. Look for the red door ikon a bit nearer to the top of the page. Condition of cover and record is described above in the 'condition' section. HEART AND SOUL. PHYLLIS NELSON ~ MOVE CLOSER. SAM AND DAVE ~ SOUL MAN. ERMA FRANKLIN ~ PEACE OF MY HEART. WHEN A MAN LOVES A WOMAN ~ PERCY SLEDGE. THE POWER OF LOVE ~ JENNIFER RUSH. NOTE: WE LIST OUR DVD/CDs AS USED BUT MOST ARE NEW AND NEVER BEEN USED, THE OTHERS MAY HAVE BEEN PLAYED - BUT WE CHECK TO SEE THAT THEY ARE IN GOOD QUALITY. STARRING JUDE LAW and NICOLE KIDMAN. 35mm CINEMA MOVIE TRAILER. A genuine film trailer which has been screened in a cinema. COLD MOUNTAIN (2003)N19. NOTE THIS IS A VIDEO CD NOT A DVD. YOU WILL NEED A PLAYER COMPATIBLE WITH THE VCD FORMAT TO PLAY. NEW&SEALED. IMPORTANT: IF YOU CANCEL AN ORDER, THERE WILL BE A FEE OF. I do my best to take good pictures to ensure you know what you are getting. HEART & SOUL. MOVE CLOSER~ PHYLLIS NELSON. WHEN A MAN LOVES A WOMAN~ PERCY SLEDGE. ALL OF OUR DVD/CD’s ARE IN THE ENGLISH LANGUAGE UNLESS OTHERWISE STATED. NOTE: WE LIST OUR DVD/CDs AS USED BUT MOST ARE NEW AND NEVER BEEN USED, THE OTHERS MAY HAVE BEEN PLAYED - BUT WE CHECK TO SEE THAT THEY ARE IN GOOD QUALITY. PROMO CD FROM DAILY STAR. HAPPY HOUSE. ALL OF OUR DVD/CD’s ARE IN THE ENGLISH LANGUAGE UNLESS OTHERWISE STATED. HAPPY CLAPPERS. NOTE: WE LIST OUR DVD/CDs AS USED BUT MOST ARE NEW AND NEVER BEEN USED, THE OTHERS MAY HAVE BEEN PLAYED - BUT WE CHECK TO SEE THAT THEY ARE IN GOOD QUALITY. PROMO CD FROM THE EVENING STANDARD. CAN'T GET BY WITHOUT YOU ~THE REAL THING. ALL OF OUR DVD/CD’s ARE IN THE ENGLISH LANGUAGE UNLESS OTHERWISE STATED. NOTE: WE LIST OUR DVD/CDs AS USED BUT MOST ARE NEW AND NEVER BEEN USED, THE OTHERS MAY HAVE BEEN PLAYED - BUT WE CHECK TO SEE THAT THEY ARE IN GOOD QUALITY. Zaky & his friends are playing in the fields when the Azaan is heard from the nearby mosque. The children go to make Wudu but Abraham is missing. Zaky finds him & realises that Abraham doesn’t know how to make Wudu or Pray. HEART AND SOUL. ALL OF OUR DVD/CD’s ARE IN THE ENGLISH LANGUAGE UNLESS OTHERWISE STATED. NOTE: WE LIST OUR DVD/CDs AS USED BUT MOST ARE NEW AND NEVER BEEN USED, THE OTHERS MAY HAVE BEEN PLAYED - BUT WE CHECK TO SEE THAT THEY ARE IN GOOD QUALITY. I also have a selection of albums by Jacky Cheung 張學友. Jacky Cheung 張學友 I cannot forget about you 忘记你我做不到. Jacky Cheung 張學友 Love song collection 絲絲記憶情歌精選. Jacky Cheung 張學友 Loving You "愛你多一些" 精選. CARY GRANT AND CONSTANCE BENNETT. 16mm full length feature film. 200 films for sale at collectable prices. Hi This is a music DVD. Condition of cover and record is described above in the 'condition' section. Hi This is a music DVD. Condition of cover and record is described above in the 'condition' section. Look for the red door ikon a bit nearer to the top of the page. Please see item description in listing body for full details. Region: 1 / NTSC. Language: English, Français, Spanish. RUPASOL He has years of experience in the sale of watches and collectibles. Language: English, French, Spanish, Portuguese. Subtitles: English, French, Spanish, Portuguese, Chinese, Korean, Thai. RUPASOL He has years of experience in the sale of watches and collectibles. Carve Your Body "The Next Level". It's a lifestyle and it's simple. Think of yourself as a sculptor and your body as the clay. You can "Carve Your Body" into whatever you desire, but it starts with a complete, multi-faceted approach. Bonga & The Vodou Drums of Haiti - Activity 3:04. Label: Spare the Rock. Genre: Children's. Record Label : Spare the Rock. Secret Agent 23 Skidoo - Noise 3:27. Uncle Rock - Shadow Dance 2:54. Jerrice Baptiste - Many Hands 1:48. Don Campbell - Quintet for horn, violin, 2 violas & cello in E flat major, K. 407 (K. 386c)~2. Andante 7:26. Don Campbell - Clarinet Quintet in A major ("Stadler"), K. 581~2. Larghetto 5:56. [I]t may have a calming effect on adults and older children, too," the liner notes warn. Genre: Music. Categories: Rock, Music Video - Rock, Music Video, Music (General), Pop Music Videos, Pop/Rock, Live Performances, Rock And Roll, Concert, Rock Bands, Rock Musicians, Rock Concerts, Alternative Music. Shot in HD in the fall of 2007, this energizing concert features an incredible line up of classic and modern rock performances. Will this product work on my system?. Categories: Music. Subtitles: Not Available. Record Label : Music for Little People Choir. ~ John Bush. Genre: Children's. Label: Music for Little People. Drum Programming : John Alevizakis. Ring Around the Rosie 1:15. I'm a Little Teapot 1:42. Little Red Caboose 2:32. Goes the Weasel 0:58. Be Kind (Reprise) 0:39. Record Label : Music for Little People Choir. Genre: Children's. Monkeys on the Bed 2:10. Label: Music for Little People. Pick a Bale O' Cotton 2:29. Five Little Ducks 2:19. Music for Little People Choir - Toddler Favorites Too! Record Label : Music for Little People Choir. Hickory Dickory Dock/Three Blind Mice 2:37. Genre: Children's. Label: Music for Little People / Rhino. Jack and Jill 1:33. Muffin Man 1:20. Three Little Kittens 2:27. New - DVD - MODIGLIANI - Andy Garcia - Language : English - Region : 2 / PAL. Andy Garcia and Pablo Picasso. Region: 2 / PAL. Language: English. Label: Walt Disney. Artist : Disney. Record Label : Walt Disney. You Dream It 4:31. Hero Of The Story 3:31. Riddle Diddle 1, 2, 3 2:16. I Won't Say (I'm In Love) 2:21. Reflection 1:56. VANILLA SKY. Region: 1 / NTSC. Language: English, French. Subtitles: English. 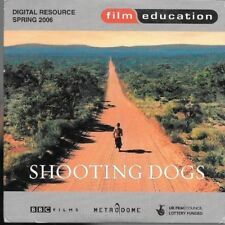 Used - DVD - UN FAITHFUL - Language : English, Spanish - Region : 1 / NTSC. A FAITHFUL. Region: 1 / NTSC. Language: English, French, Spanish. Subtitle: English, Spanish. HANDLING / PREPARATION. Region: 1 / NTSC. Language: English, Français. Subtitles: Spanish, Français. THE DICTATOR. Region: 1 / NTSC. Language: English, French, Spanish. Subtitles: English, French, Spanish. the version you couldn't see in theaters. RUPASOL He has years of experience in the sale of watches and collectibles. Region: 1 / NTSC. CITY BY THE SEA. Language: English, French. "TWO THUMBS UP!". RUPASOL He has years of experience in the sale of watches and collectibles. Used - DVD - FACTORY GIRL - Language : English - Region : 2 / PAL. Region: 2 / PAL. Factory Girl. Language: English. Region: 1 / NTSC. Language: English, French. Subtitles: English, French, Spanish. THAT WILL HAVE YOU GUESSING. Sandra Bullock. FROM START TO FINISH". Vampire Hunter. Region: 1 / NTSC. Language: English, French, Spanish. Subtitles: English, Spanish. Region: 1 / NTSC. Language: English, Spanish, Français. Subtitles: English SDH , Spanish, Français. The device is not carried into the house. You must organise the transport to the place of installation by yourself. Maximum sound pressure level 96 dB. Cd = Battery contains more than 0.002 percent by mass of Cadmium. Over all it is in good condition with no cracks or pieces missing to the plastic case and the pictures are all there with a little bit of bubbling in places which is common for these, but when hung on the wall it will still look great. YOGA CAMPING STONEHENGE LEGS AKIMBO SAILING FISHING. Ankles in the air, legs akimbo. Sign for Stonehenge. 200ft reel. A boy plays ball. A girl plays sponge ball tennis. The National Motor Museum. This material is revolutionising floristry in Denmark. A major reason for taking this reel is the colour. Which is a great thing for a reel featuring so many colourful flowers. Positioning of flowers, each in its own specific place.